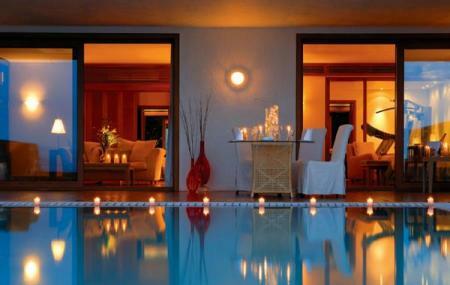 The THALASPA Chenot at the Grand Resort Lagonissi offers a complete range of services for body, mind and soul. Services offered include Cellulite Treatment, Facial Detox, Anti Ageing treatments, Hydro Aromatherapy and a lot more. They also offer special target based treatments which last over a period ranging from 3 days to 7 days. These include Intensive Detox Program, Wellness Program, Body Sculpture Program, Couples Program and a few more. The treatments range €150 onwards. Other Contact Number is (+30 2291076000). Lagonisi bus stop and from there, avail a taxi. How popular is Thalaspa Chenot? People normally club together Temple Of Poseidon and Garbi Restaurant while planning their visit to Thalaspa Chenot.